photo credit: Animals' Angels, Inc.
"We are there with the animals." That's the mission statement of Animal's Angels and it's a mission that we take very seriously. Thanks to you, our generous donors, it was also "Mission Possible" during 2015. Now is the perfect time to look back on what we've accomplished and to set goals for the coming year. This past year has been an extremely busy one for us at Animals' Angels. Our investigators were in the field conducting a demanding schedule of 165 investigations throughout the U.S. and abroad. Along with bringing the cruel and abusive operations of kill buyers and auctions across the nation into the public eye through our in-depth investigative reports, we're quite proud to have had other noteworthy achievements as well. While there is no way to list all of our activities in a newsletter, we did want to highlight a few of our major projects. The year started with the sweeping action that the EU Commission took against horse meat imports from Mexico. The ground-breaking ban, which took effect in March 2015, was implemented after an audit carried out in Mexico by the EU Food and Veterinary Office confirmed what our coalition had communicated to the EU Commission all along. One of the key issues was the inhumane treatment of horses being shipped from the United States to Mexican slaughter plants. We at Animals' Angels are very proud of our coalition's EU Campaign and the impact it had. In yet one more win for our cause, another major European importer, GVFI International, announced that they will no longer be buying horsemeat from overseas. GVFI received meat from both Bouvry and Viande Richelieu in Canada, so no doubt this will be a substantial loss to both suppliers. In 2014, the largest Swiss detailer Migros, who was one of Bouvry's biggest customers, terminated all business relationships with the Canadian exporter. The decision to end their contract was made after Migros was once again confronted with horrific images of the Bouvry feedlots provided by Animals' Angels. Now, GVFI International is following in Migros footsteps, and rightfully so. 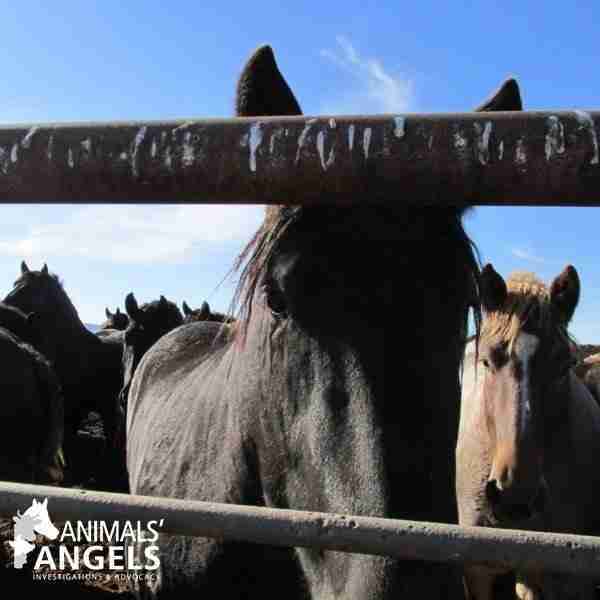 Animals' Angels is grateful to see that the dangerous work of our investigators continues to reduce the market for American horse meat. We will move ever forward in our work to ensure that the demand declines until the horses are safe from this horrendous industry altogether. Read our full investigation release here. 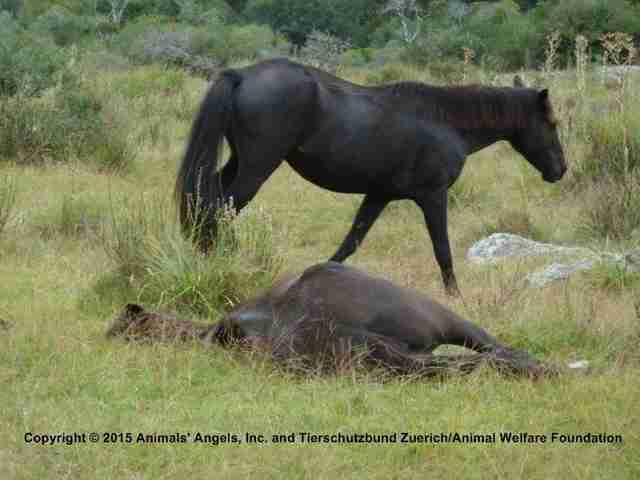 Animals' Angels uncovered grave issues within the USDA Market News Service showing there is absolutely no transparency regarding their protocols for determining the slaughter horse export figures on their weekly Market Reports. 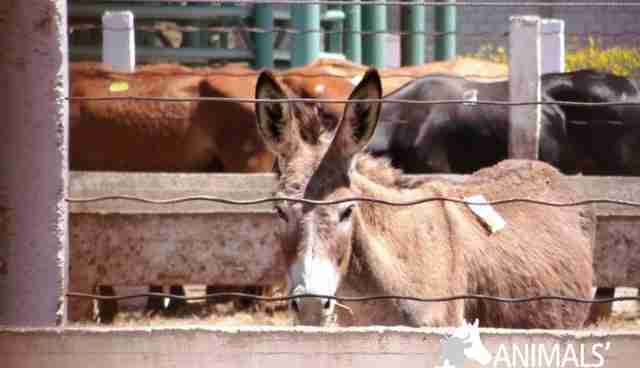 The USDA's inability or unwillingness to release copies of documents, along with the reporting agencies' admitted irregular record-keeping (counting donkeys and mules as horses), makes the accuracy of the export numbers completely suspect. It's important for both the general public and those in the animal advocacy world to realize that with no verifiable protocols in place, and no internal records kept, there is no way to confirm that the information provided by the USDA Market News Service every week is accurate. For more details, please read our full report here. An undercover investigation carried out by Animals' Angels and their Swiss partner Tierschutzbund Zuerich found yet another way that horses are being exploited purely for profit. Shocking evidence has been uncovered that proves the existence of "blood farms" in the U.S. as well as in countries like Argentina and Uruguay. We were glad to be able to raise awareness to these "invisible horses" who are exploited and abused simply to increase the production of another slaughter-bound animal. With no oversight and no enforcement, even in the U.S. where one would expect regulations, these animals are at the mercy of the profit-oriented companies behind these "blood farms." Read the disturbing details here. Largest Auction on East Coast Convicted! New Holland Sales Barn was convicted of animal cruelty for an incident of horrific neglect. The case hinged on an investigation conducted by Animals' Angels that included footage clearly showing a sheep with strong signs of hypothermia, flat on its side and barely alive, along with a goat that had something terribly wrong with its legs and was unable to get up. 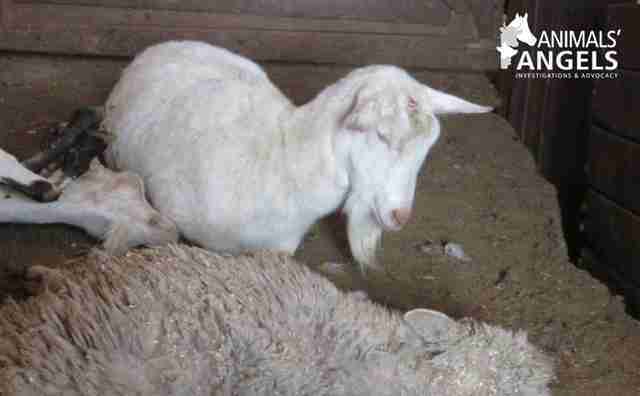 Both were thrown away like trash and left to die on a "dead pile," in the middle of other, already dead, animals. Due to the weak laws regarding farm animals, it is almost impossible to garner charges against an auction, let alone a conviction, so we were thrilled that our persistence in investigating this auction paid off in the courts. This was our second successful conviction against the New Holland Sales Barn. To read the full report, please go here. 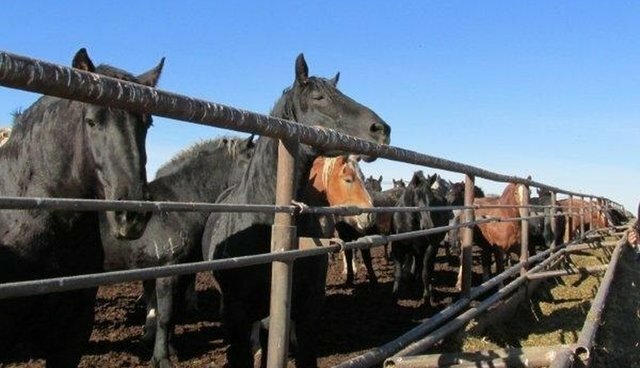 An investigation of the horse slaughter industry in Uruguay and Argentina found similar conditions as those seen in the U.S., Mexico, and Canada. As can be expected, slaughter horses in Uruguay and Argentina are not treated humanely, either during transport or at the slaughter plant. We have learned from these investigations that regardless of location, regulations or enforcement, horse slaughter is much the same everywhere. It is a predatory, cruel, and profit-driven industry that needs to be stopped. Read the detailed reports here and here. 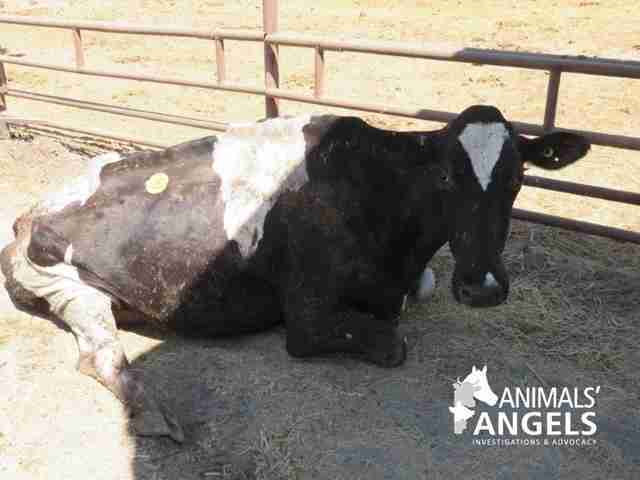 Animals' Angels continues the fight for dairy cows. While we have not been able to make all of our investigations public just yet, we continued our dairy cow initiatives from 2014 to garner justice for these poor creatures. Our in-depth investigations uncovering appalling abuse at the Escalon Livestock Auction in California have, unfortunately, shown quite clearly that law enforcement is unwilling to pursue charges even when the documented cruelty and abuse is overwhelming. However, our undercover team has worked hard to obtain new evidence and will continue to apply pressure until justice is served. Please stay tuned as we will be releasing another report on Escalon shortly. 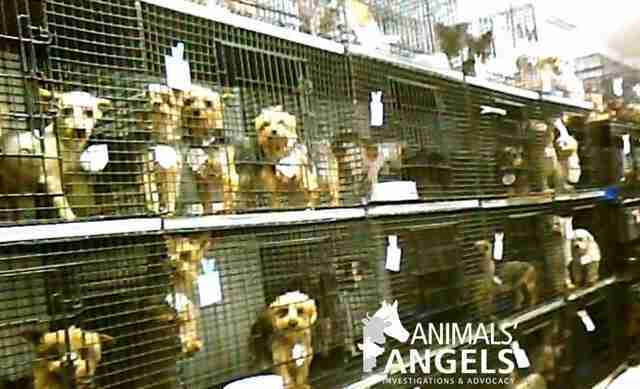 As promised in 2014, we have been hard at work tracking and investigating puppy mills. Our investigators have been in the field in Missouri, a state known to have a great number of "problem" mills with substandard conditions. Unfortunately we cannot make these investigations public as of yet because they are still ongoing. Oftentimes these investigations can take some time and we definitely don't want to jeopardize any charges we might be able to secure against the perpetrators. Our footage was featured in three superb anti-horse slaughter documentaries: Kill Pen, Saving America's Horses, and Their Last Ride. Over the past year, each of these films was highlighted at numerous festivals, including the well-attended Equus Film Festival in New York. Our footage and research was also used in a three-part documentary series by Alex Brown entitled Horses: Sports, Culture, and Slaughter. Our founder and President, Sonja Meadows, was invited to be a panelist for the Horse Defenders Panel at the 2015 Equus Film Festival. This interactive panel gave us the opportunity to discuss our horse slaughter investigations in front of an interested and packed audience. It's imperative to reach out to new audiences and seasoned advocates alike in every possible venue. The Equus Film Festival was an amazing event and Animals' Angels was thrilled to attend. It was exciting to meet so many dedicated advocates, all fighting for the same important cause: to end the slaughter of our horses once and for all. Animals' Angels and our work uncovering the cruelty of the horse slaughter pipeline at auctions across the U.S. was showcased in a lengthy exposé in the Blood-Horse Magazine. The Blood-Horse is a well-known publication catering to the racing industry and its followers. 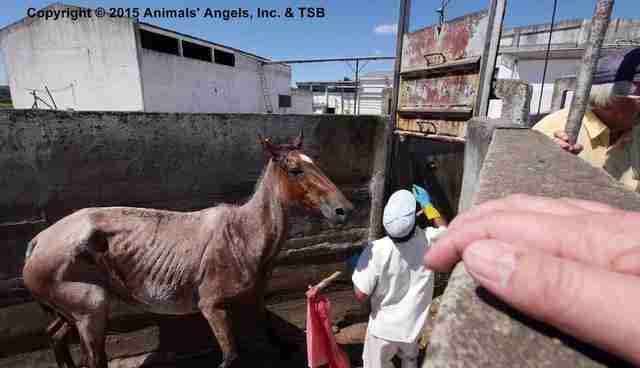 We were extremely pleased that they decided to run this comprehensive article, which not only features the work of Animals' Angels but also explains how Thoroughbreds all too often find themselves at kill auctions. We hope this article will be successful in raising much needed awareness amongst the Thoroughbred community as to the fate that awaits any horse sent to auction. We at Animals' Angels face the coming year with the determination and passion to continue the fight for the much needed changes and justice the animals so deserve. Determined to win the battle against the rampant cruelty and mistreatment, our investigators have committed themselves to an even more demanding schedule in 2016. Our heartfelt thanks go out to our faithful and compassionate supporters who make our continued work possible. We couldn't do it without you! By donating to Animals' Angels, and joining our ever-growing family, you are taking a stand against cruelty. You'll be helping us to save more animals from a horrendous fate of neglect and abuse in 2016. These animals - from farm animals that are being needlessly abused and exploited to horses being shipped to Mexico and Canada for slaughter to dogs trapped in tiny cages, being sold at roadside auctions - all of them desperately need our help. Please donate today to keep our investigators going! To find out more about Animals' Angels, please visit our website.